Phi Beta Lambda (PBL), is a nonprofit education association with of a quarter million members and advisors in over 6,500 active middle, high school, and college chapters worldwide. Its mission is to bring business and education together in a positive working relationship through innovative leadership and career development programs. 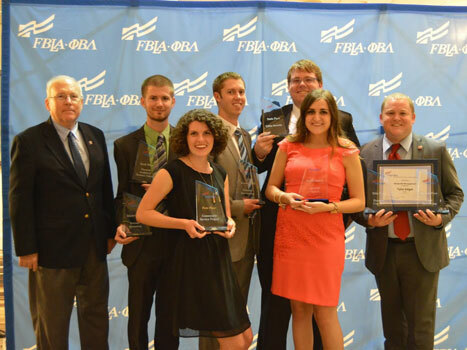 The PBL National Leadership Conference was held in June. Participants from across the United States attended this conference to enhance their business skills, expand their networks, and participate in 60 business and business-related competitive events. To get to nationals, the club had to first compete at the state level on various topics related to business. These competitions can consist of testing, presenting, or producing a product. In the testing competitions, the student must place in the top three in the state in order to qualify for nationals; presentations and product productions require a top two finish. Students from Southern Utah University have been competing in the national competition since 2010. For the past six years, the club has taken 40 students to the national stage and has come home with a total of 29 Top Ten finishes. Carl Templin, Dean of the School of Business, as well as the club’s advisor, has been helping the club get to the national stage for the past seven years. He emphasized that the fact that all six students who made it to the national stage earned a Top Ten finish is truly remarkable. Tyler Edgel graduated last spring with a major in both Accounting and Finance. He is from Las Vegas, Nevada and received national recognition when he placed first in the Nonprofit Management competition, receiving $500 in prize money. He also competed in Cost Accounting and Financial Concepts, taking second and fifth respectively. Kelsey Haddox, a recent graduate with a major in Graphic Design, from Ogden, Utah, earned a first place finish and $700 in prize money for leading the club’s community service project over the past year. The service project helped organize a March of Dimes Teddy Bear Den which helps provide free baby care products to low-income pregnant women as an incentive to stay healthy during their pregnancy. The prize money will be donated to the Teddy Bear Den as part of the service. The PBL club looks to use their wins at the national competition to help boost their club success on Southern Utah University’s campus. Students like Tyler Edgel acknowledge that graduates these days have to find a way to set themselves apart from their competition; a club like PBL does just that.